1951. Berlin. 20 Pf. FREIHEITSGLOCKE BERLIN. STUTTGART SOLITUDE-RENNEN GROSSER PREIS VON DEUTSCHLAND 26.8.51. 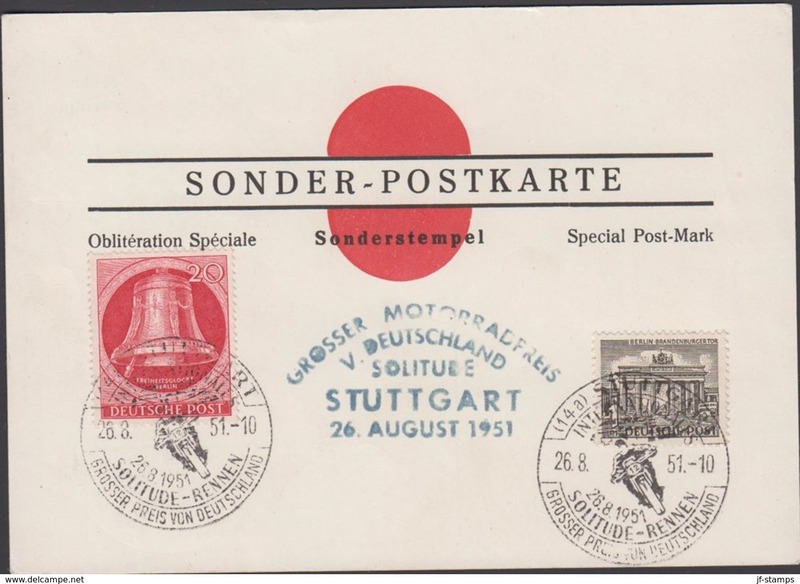 Postkarte: GROSSER MOTORRADPREIS V. DEUTSCHLAND SOLITUDE STUTTGART 26. AUGUST 1951. Postage is € 4 per order for delivery by regular mail worldwide. Regular mail are posted on your risk. For registered mail the postage is € 15. 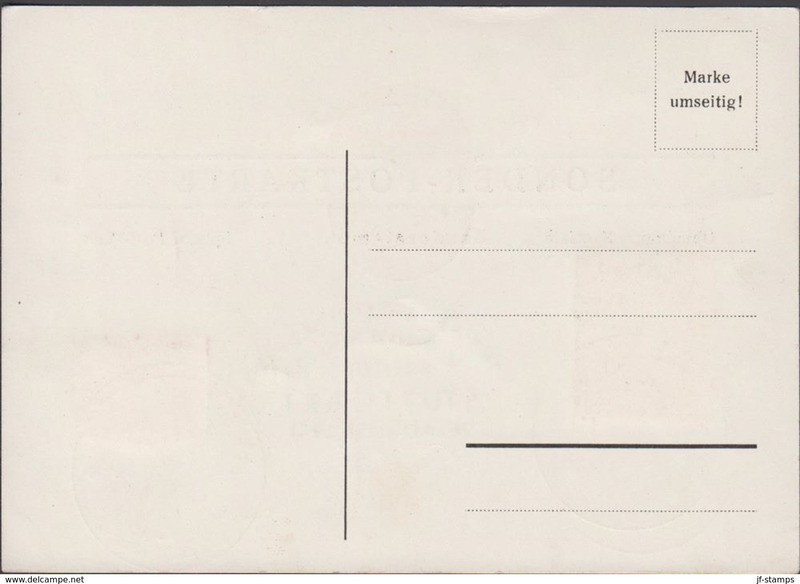 We recommend that all orders above € 100 are sent as registered mail. You can combine as many lots as you like, and still pay only the flatrate postage. Items from Iran can not be paid by Paypal. We offer a broad range of stamps, covers, postal history, FDC, blocks, essays, revenues, locals and Christmas seals from most of the world. We are especially strong in all the Scandinavian and Baltic countries with Denmark, Schleswig, Faroe Islands, Greenland, Thule, Danish West Indies, Estonia, Finland, Iceland, Latvia, Lithuania, Norway and Sweden. Germany, Deutsches Reich, Colonies, occupied areas and DDR is covered in special with both stamps and covers. We have stamps and covers from more than 200 areas and look forward to help you build your collection further. Meet us at one of the stamp shows in Prag, Sindelfingen, London, Paris, München, Essen.